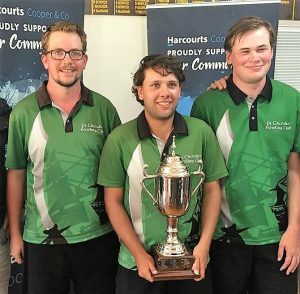 The Milford club celebrated in appropriate style last weekend the 10th anniversary of its highly successful “junior” bowls tournament, the Milford 5000. Founded in 2009 by former club members Graham Dorreen and Tim Preston, this year’s tournament produced what arguably was its highest ever standard. There was a capacity field of 32 teams which came not only from the North Harbour centre, but from the Auckland, Counties, Waikato, Bay of Plenty and Northland centres. Indeed, for the first time there was a waiting list. And this year’s event included bowlers who have already won national recognition. Aiden Takarua and Alex Reed, from the Point Chevalier club, both national development squad members, with club-mate Colin Williams, took first place and prize money of $1500. In second place, winning prize money of $900, were Mairangi Bay’s Phil Chisholm, Theresa Rogers and Neil Buckner. Third place and prize money of $450 went to Frankton Railways’ Garry Cotter, Mark Pene and James Cotter. 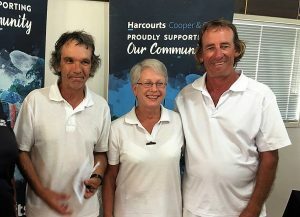 And the host club also shared in the spoils, with Ian McKenzie, Lyn and Rick Calver, winning plate final and prize money of $360. Originally, the tournament was exclusively for bowlers of one to five years’ experience. But now it has been expanded to include one bowler with up to eight years’ experience. 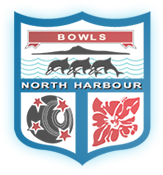 Appropriately, the founders, Dorreen, now chairman of Bowls North Harbour, and Preston were on hand to present the cup named after them and the prizes. It is now recognised that the Milford 5000 is one of the best tournaments on its type in New Zealand.